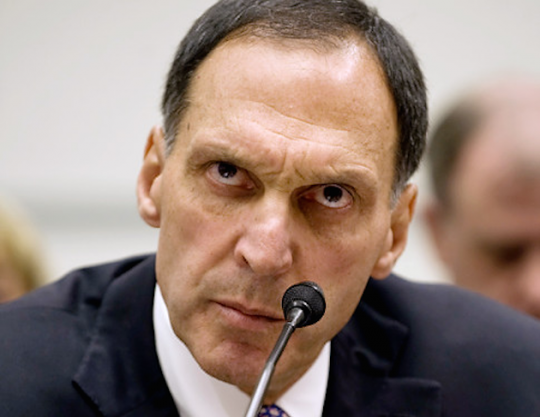 Fuld said that the company’s culture was part of its success, calling Lehman Brothers "one of the great investment banks on Wall Street." "Government clearly had the view that they wanted everybody to be able to fulfill their view of the American dream," he said, noting low interest rates and easy access to credit, which led to increased home values and household debts. Lehman Brothers "at the end of September 2007 was not a bankrupt company," he said. Fuld also said that he didn’t want to get political, but that "new leadership" is needed in the White House. Given his history of political donations, its reasonable to assume that Fuld would prefer a Hillary Clinton presidency. Fuld has donated at least $3,300 to Clinton since 2005, on top of the more than $120,000 he has given to Democratic candidates and committees, which is significantly more than he has donated to Republicans. Lehman Brothers employees are the 9th largest source of campaign contributions to Hillary Clinton over the course of her career, donating more than $360,000 prior to the firm's bankruptcy in 2008. Lehman Brothers also donated between $100,001 and $250,000 to the Clinton Foundation. This entry was posted in Politics and tagged 2016 Election, Democratic Donors, Democratic Party, Financial Crisis, Hillary Clinton, Wall Street. Bookmark the permalink.